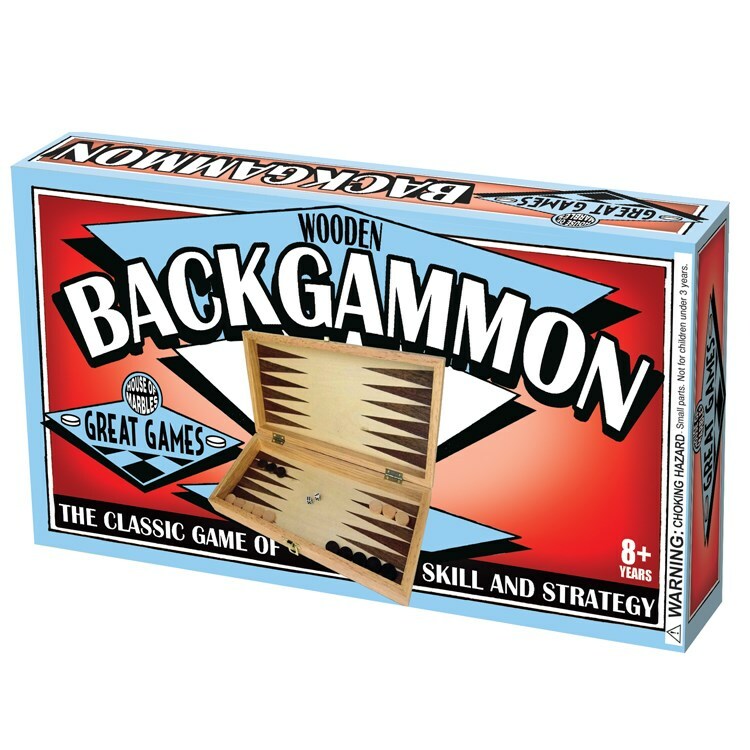 A gorgeous wooden set of the classic game of skill and strategy. Move your counters from one side of the board to the other to beat your opponent. A game for two players. Eternally enjoyable. Box measures 31 x 16 x 5.5 cms approx. Recommended for ages 8 years +.